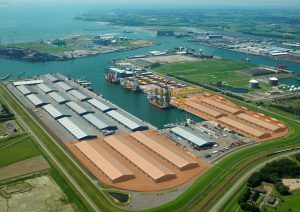 Rotterdam 19 April 2018 – In the port area of ​​Vlissingen, approximately 180,000 sq. m. of warehouse space, divided over 9 warehouses, will be available for rent or sale. The warehouses are located directly next to the site of Verbrugge. The warehouses, varying in size from approximately 14,500 sq m. to 29,000 sq m., are in excellent condition and are all equipped with concrete floors with a maximum capacity of 10,000 kg/sq m., a maximum ridge height of 16 meters and several large overhead doors at ground level. 7 of the available warehouses are highlighted on the above aerial photograph, the remaining 2 warehouses are located elsewhere on the site. 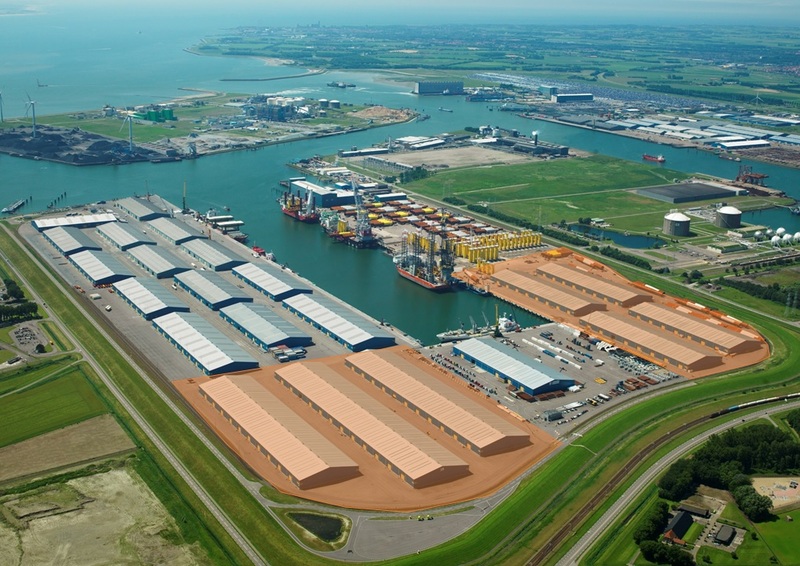 For future users it is possible to use the many facilities within the terminal complex in consultation with Verbrugge, such as a deep-sea quay, a daily barge connection to Rotterdam and Antwerp, lifting and hoisting equipment and certified personnel such as operators, crane operators, welders etc. INDUSTRIAL real estate partners is assigned by co-owner Access World for the letting and/or selling activities of the properties.